No blowing the dust out of the bottom to get this classic NES cartridge to make it work! 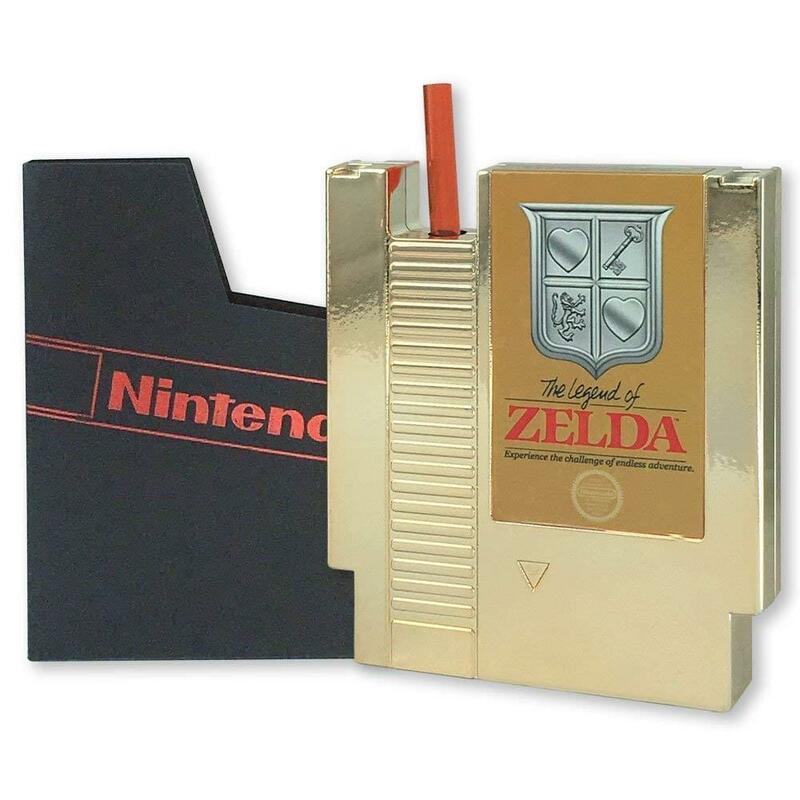 Resembling the original gold cartridge for Nintendo's The Legend of Zelda, this canteen holds up to 8 ounces of your favorite beverage. Comes with a funnel and straw to fill/ refill the canteen and a collectible box. Not Dishwasher Safe. Official Nintendo Licensed Product. No blowing the dust out of the bottom to get this classic NES cartridge to make it work! Holds 8 ounces of your favorite beverage. 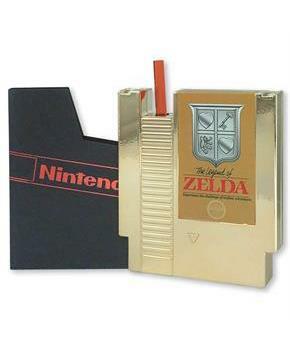 Canteen resembles the original gold cartridge for Nintendo's The Legend of Zelda. Comes with a funnel and straw to fill/ refill the canteen and a collectible box. Not Dishwasher Safe.